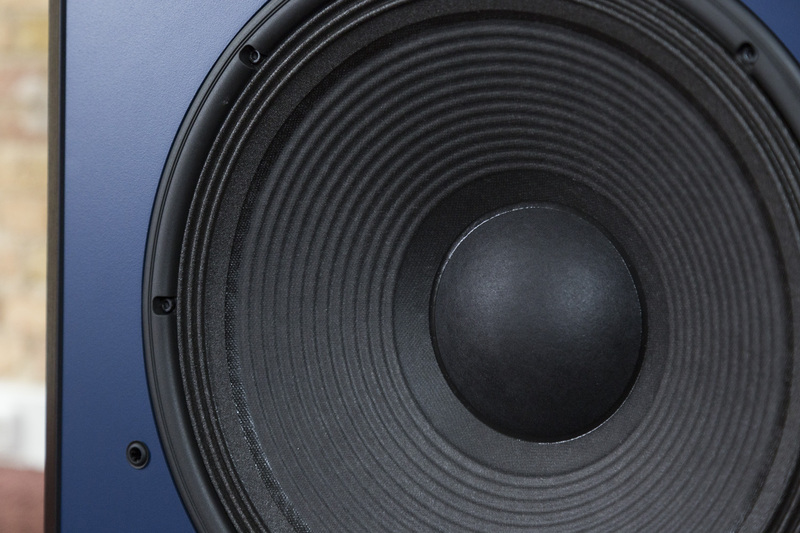 Many manufacturers are afraid to miss the right sound of their loudspeaker developments, but also optically do a lot: unusual shapes, fine wood grain, perfectly painted surfaces, invisible screw connections. 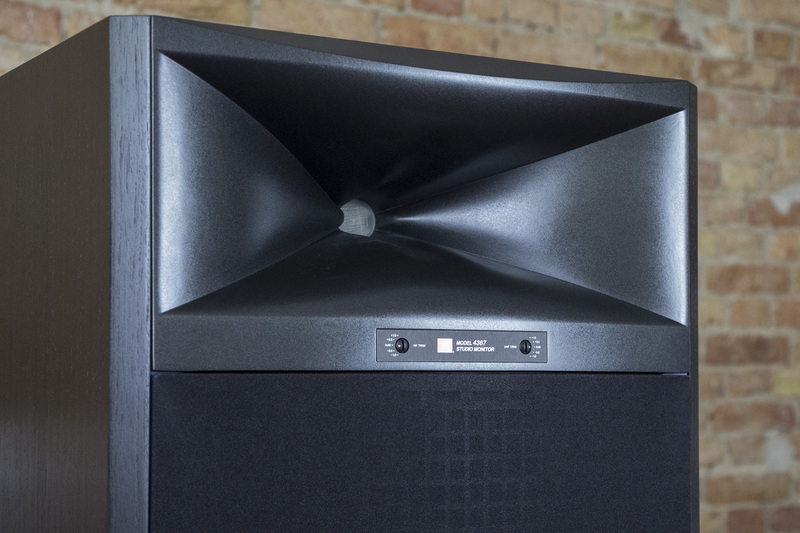 The JBL 4367, with its laconic shoulders, wins the beauty contest and convinces those with the classic PA speaker design with a mercilessly good performance. Before we get to the point, briefly a few facts about the manufacturer JBL itself: Founded in 1946 by James Bullough Lansing, JBL today with over 70 years of experience in the loudspeaker construction belongs to one of the very old hares in this segment. Lansing himself was responsible for the initial firing of this success story with his technical know-how, but only a fraction of the same. In 1949, Lansing took his life due to business and personal problems but ultimately enabled him to pay his life insurance to new enterprises – to this day. Since then, the list of loudspeaker developments from the company JBL for the live, studio and consumer area has grown almost endlessly. 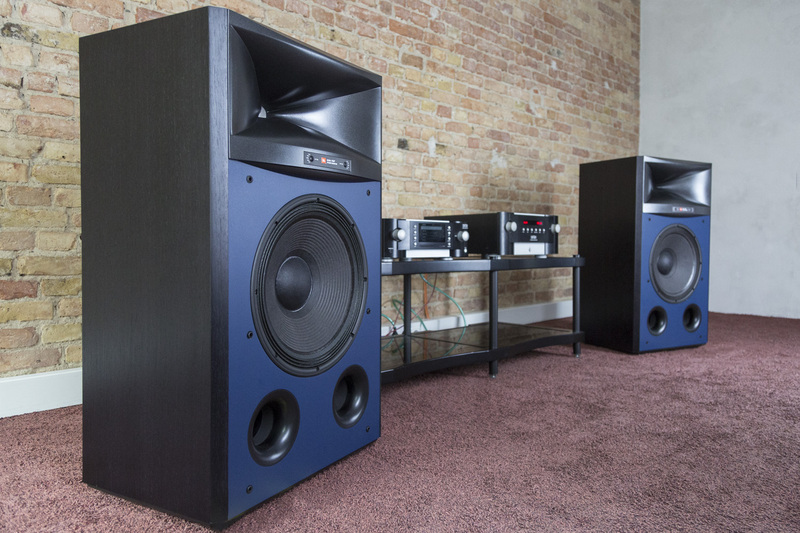 JBL loudspeakers are to be found on large stages, in prestigious sound studios and private homes around the world. 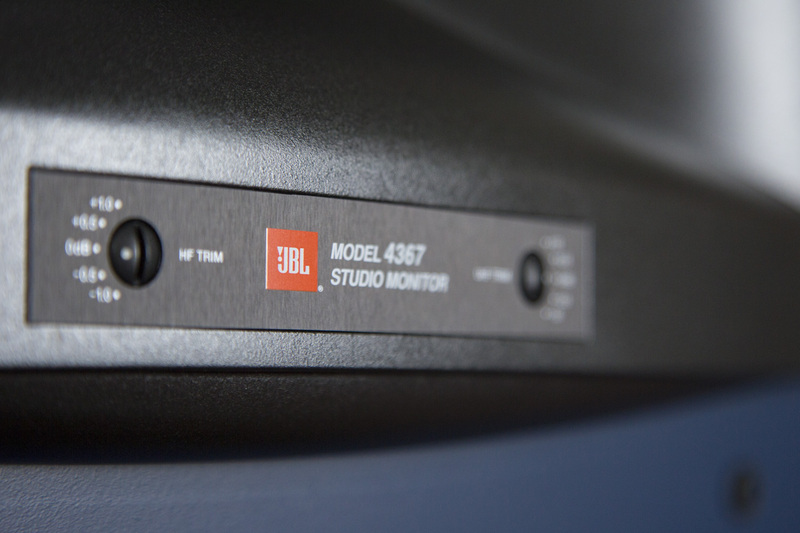 For this reason, it is also idle at this point to highlight some highlights from the history of JBL and instead, we rather dedicate ourselves to the actual object of desire: the JBL 4367. Horn Speaker For The Mid/High Range. Some may associate horn systems with long-gone times when High Fidelity was still in the children’s shoes, others may also have modern, extravagant and accordingly exorbitantly expensive loudspeaker designs in mind. The fact is that the horn construction is an absolutely legitimate variant in the loudspeaker construction (in professional sound reinforcement technology one of these sights is more common) and a cleverly designed horn can sound really fantastic. 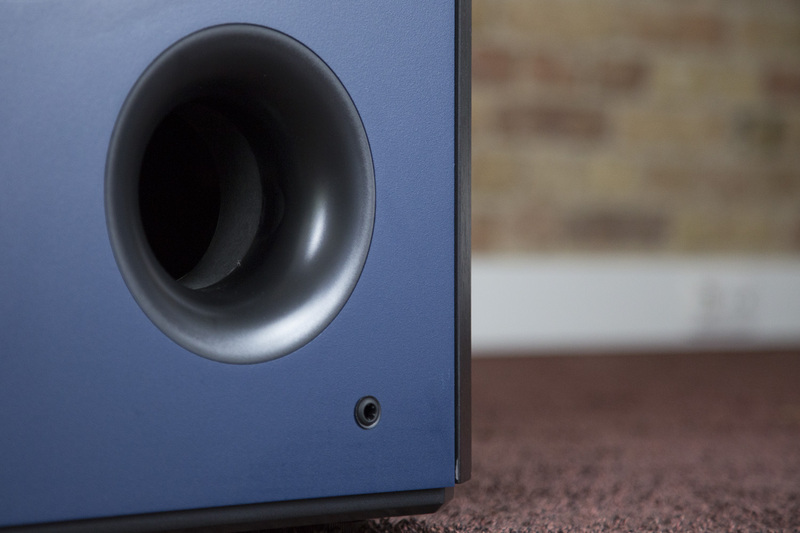 The JBL 4367 comes with a pulse, dynamic and detailed depth so it is a real pleasure. This is due in part to the form of the horn, which is based on complex simulations, but the D2430K compression driver also plays an important part. The double construction with two diaphragms and two exchange coils as well as two-phase plugs creates the perfect prerequisites for extremely low distortion reproduction in the mid/treble range from 700 Hz to 40 kHz even at high volumes. By the way: The term compression driver refers to the fact that the driver itself is significantly larger the inward opening of the horn. This construction results in a strong compression of the air as soon as it is set in motion. It is not only the secret behind the high efficiency of the horn but also the distinctive sound aesthetics of this loudspeaker type. For the frequency range below 700 Hz, a 2216Nd-1 Differential Drive Woofer with a proud 38 cm diameter, supported by two 4 “bass reflex channels, is responsible. 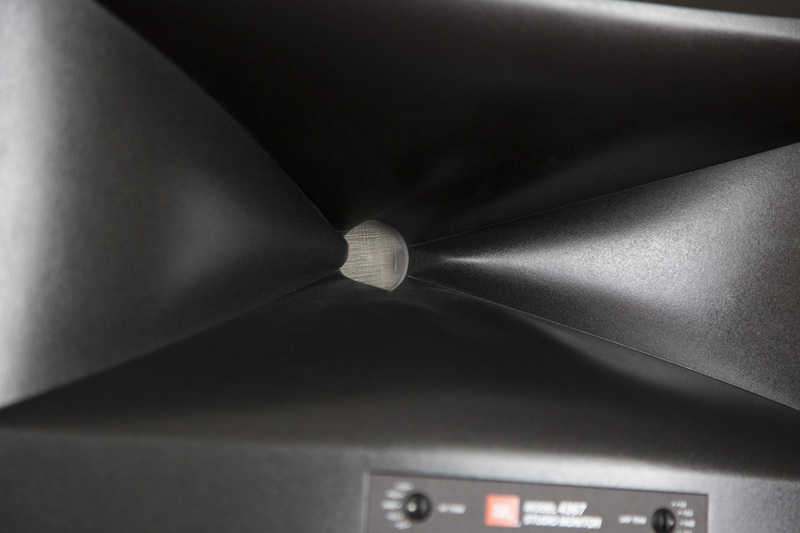 Just as with the horn driver, JBL can also rely on proven live and studio technology in the low-frequency range. 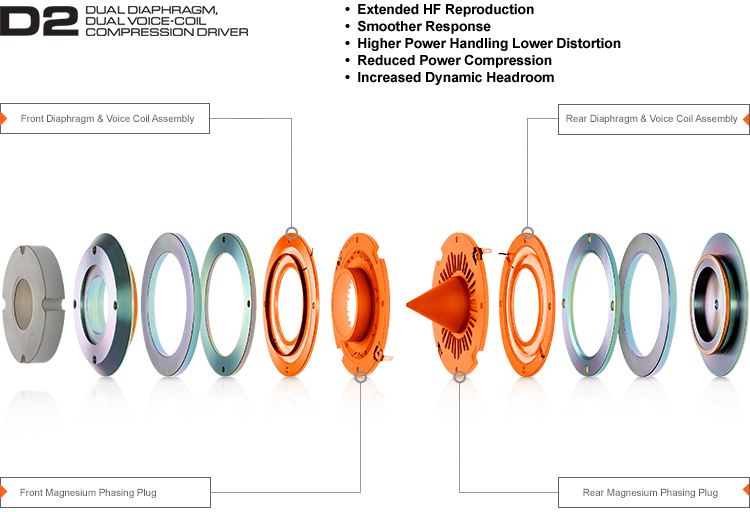 Thus, the design of the woofer was a highly efficient, mechanically durable and compact, H. light-weight loudspeaker design, which is characterized by low heat production, high pulse spread and minimal distortions even under high loads. As with the horn driver, JBL is using a dual concept: two coils are used. To get a better idea of this, please refer to a corresponding JBL publication. 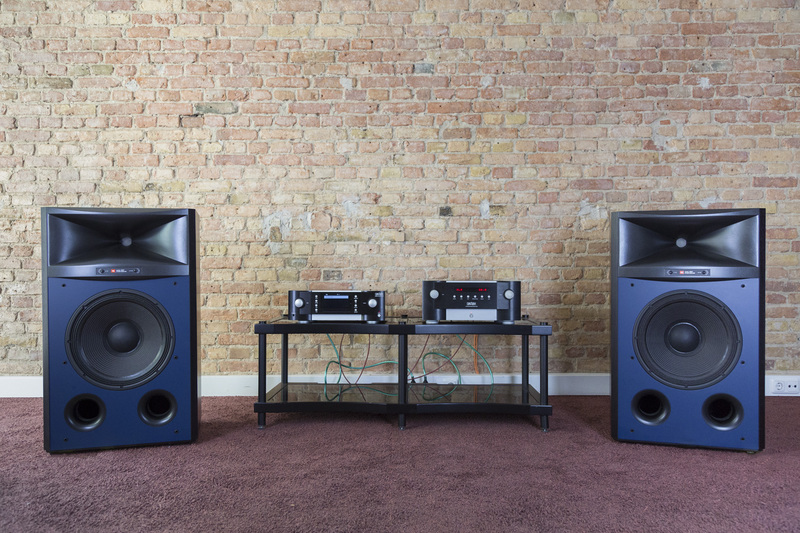 In practice, the woofer proves to be an excellent playing partner for the horn driver, which lowers the frequency spectrum with its very effective performance, which is physically clearly reproducible at higher volumes, without sounding untidy or even obtrusive. The connecting element between the two driver sections is the crossover. It provides a carefully balanced over-fading around the already mentioned transition frequency of 700 Hz. Remarkable here is especially the possibility over two potentiometers the medium and high-frequency range within limits, H. in 0.5 dB steps between -1dB and 1dB, although it is a completely passive design. While the first controller affects the range between 600 Hz and 9 kHz, the second is between 4 kHz and 20 kHz. Apart from this, she performs her service in the best sense completely unobtrusively. If you are considering buying a loudspeaker in this price segment and are able to enjoy the pragmatic charm of this 60-kilo loudspeaker, you should listen to the JBL 4367 absolutely. For all the others: Be sure to listen to it!